Secured credit card is different from a regular credit card because you are required to deposit cash in order to get this credit card. The cash you deposit serves as collateral against the purchases you make with the secured credit card. If a person defaults on repayments, credit card companies keep the cash that was deposited as collateral. The credit limit of the card ranges from 50% to 100% of the collateral. However, secured credit card is a great option if you want to make urgent client payments or you want to pay bills on time and is comparatively easier to get. If you are planning to have a credit card, credit card companies want to see your credit history and it becomes harder for you to get a credit card if you have a bad credit history or no credit history at all. 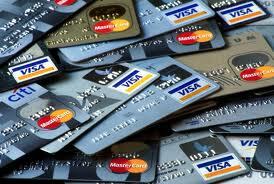 The problem is you need a credit card to start building a good credit score by properly managing your repayments. Therefore, if you are not approved by the credit card issuing companies to get a traditional credit card, a secured credit is a better alternative. However, you should always ask Your Personal Financial Mentor when you are planning to apply for a credit card because they can guide you professionally by keeping in mind your financial requirements. Your application is more likely to get accepted by the credit card companies if you are applying for a secured credit card because of the security deposit you give as collateral against the purchases you intend to make with this card. Therefore, the deposit gives you an incentive for a quick acceptance of your application. Moreover, a secured credit card sends a regular report of the repayments you make, to the credit bureaus and these credit bureaus maintain a credit report of your payment history. It provides you an opportunity to establish or reestablish a good credit by paying on time and hence, improving your credit score. You don’t have to worry about the debt collectors chasing you for nonpayment if you are unable to repay the secured credit card debt because credit card companies keep your security deposit if you are unable to pay your debt. You can also earn interest on the collateral because some credit card companies place your security deposit in the interest-bearing savings accounts when you get accepted for a secured credit card. However, you should always be careful when you plan to get a credit card because it is a form of debt which should be properly managed and used wisely if you want to earn the benefits of this card. « How Does Real Estate IRA Work?